On September 2, 2014 almost 500 young people gathered on the Freedom Square to participate in PEACE, UNITY, and SOLIDARITY march. The march was aimed at showing that Armenians are unified and support each other irrespective of different views in case of any challenges. The Armenian youth raised the issue of non-human deportation and massacre of Yezidism settled in Northern Iraq. 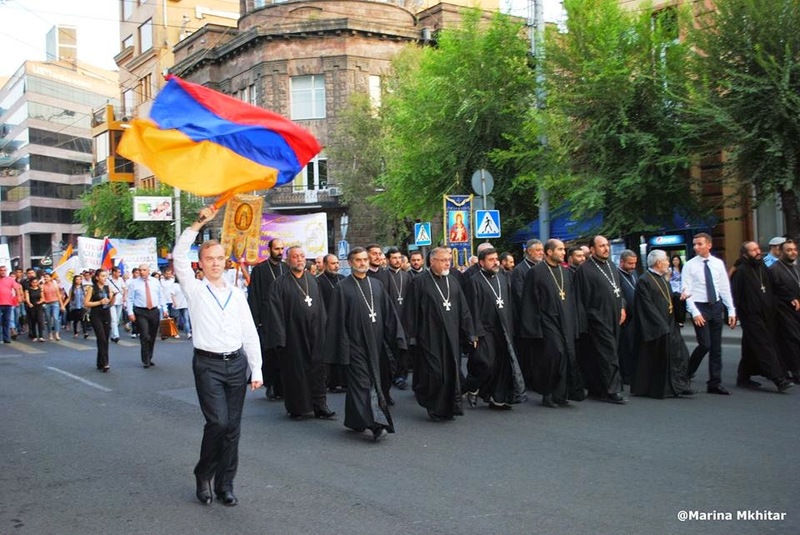 The march started on the Freedom Square and directed along Mashtots Avenue to St. Sargis Church. 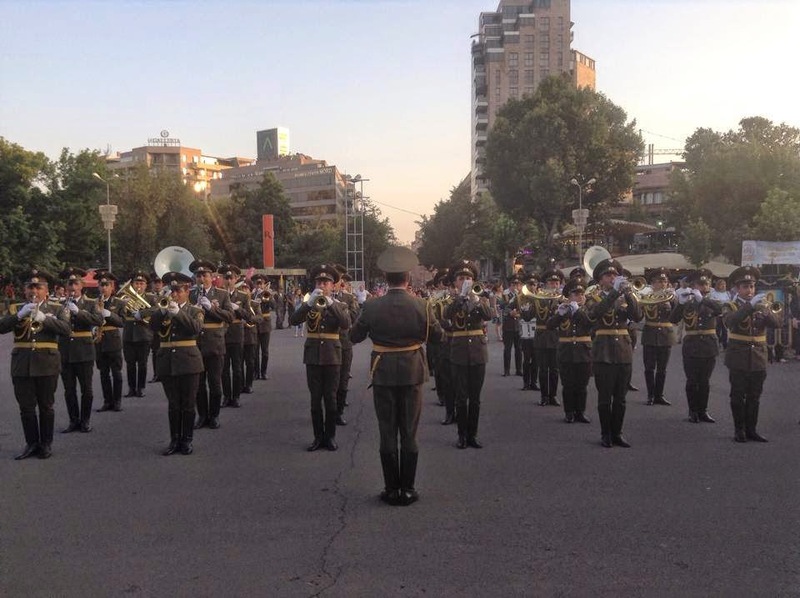 Priests, dressed in black, soldiers, and different NGOs, including Serund Pan-Armenian Youth Center had an active enrollment in this march. The youth held posters with the different slogans and expressions, such as “We are for PEACE”, “No to Violence”, “No to Yezidis Massacre” and the like. When reaching St. Sargis Church, the priests prayed for PEACE in the whole world, for Armenian soldiers, for their well-being and of course for stopping Yezidis massacre in Northern Iraq. The main aim of this march was devoted to establishing Peace in the whole world, and providing safety for different nations. 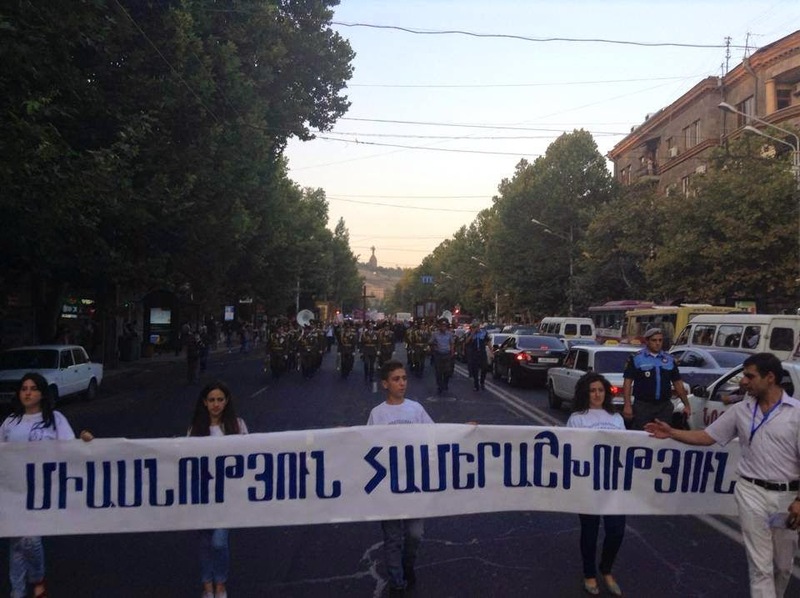 The march was organized by the "Youth" NGO and was supported by the Defense Ministry of Armenia and the Armenian Apostolic Church.